The Bible tells us to love God with “all thy heart, and with all thy soul, and with all thy strength, and with all thy mind.” (Luke 10:27) Having a faith isn’t something that we can do half-heartedly. Look at Esther: with her famous “If I perish, I perish,” she risked her life to carry out God’s will to save the Israelites. Perhaps a more prominent example would be Paul the Apostle, a convert who became the greatest proselytizer of early Christianity; the saying “there is no greater proselytizer like a convert” didn’t just come from nowhere. Likewise, God demands us to pour our hearts and dare ourselves to achieve His will. But we must approach this idea with caution, for God only demands a specific kind of passion: a passion to carry out what God has deemed to be right, not what we think is the best for Him or ourselves. Sometimes, we might be overzealous and act according to our best intentions and as a result displease God. This is because our best intentions don’t guarantee agreement with that of God’s. Just look at David for instance. David believed that the best way to move the Ark of the Covenant was to bring a fancy cart to carry the ark and it with guards and trumpets and other instruments. But that wasn’t what God wanted. He wanted David to study the “right” way, His way of properly bringing the Ark back to Jerusalem with specific instructions that date back to the times of Moses. We may love God with all our hearts and soul, but keep in mind that God wants us to obey His will, not for us to decide what’s best for Him. 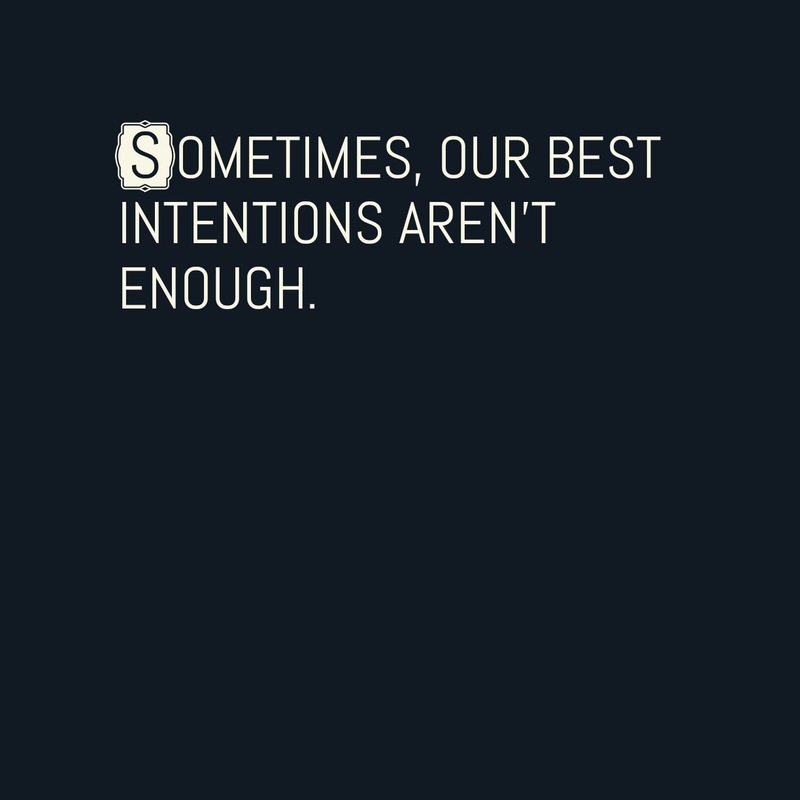 Sometimes, our best intentions aren’t enough. We must first seek what He wants from us and then give our all. 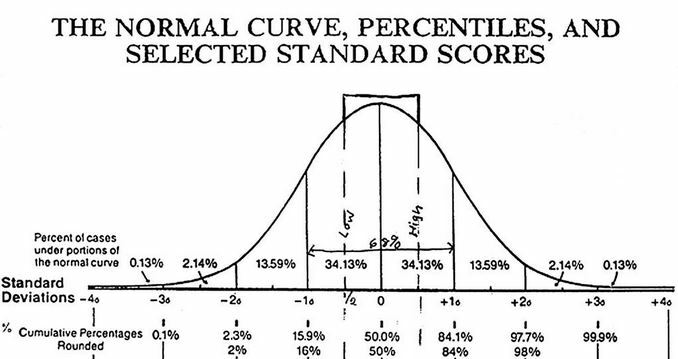 Have you taken any high school-level science courses before? If you have done so, then you may have heard about Isaac Newton—the most influential figures of all time, especially in many fields of science. Newton’s most famous achievements include the laws of motion, universal gravitation, and calculus. Law I: When viewed in an inertial reference frame, an object either is at rest or moves at a constant velocity, unless acted upon by an external force (Law of Inertia). Law II: The acceleration of a body is directly proportional to, and in the same direction as, the net force acting on the body, and inversely proportional to its mass (F = ma). Law III: When one body exerts a force on a second body, the second body exerts a force equal in magnitude and opposite in direction to that of the first body (F1 = – F2). Among the above three laws of motion, we should give a careful attention to the third law, which is well-known as the law of action reaction. It says when an object exerts a force to another object, then the latter exerts the force that is equal in magnitude but opposite in direction. We can generalize this law: To every action, there is always a consequence following it. If one’s action is to stand on the ground, the ground exerts the force that is equal in magnitude, but opposite in direction. The heavier you are, the greater force is exerted by the ground to the person. This cause and effect relationship is not only found in our daily lives, but in the Bible through the parables of Jesus Christ. Because Newton’s law of action reaction is considered as a universal law in science, this can be applied to anywhere—to even our daily lives and spiritual lives. Every action we perform leads to something in our lives. The seed that Jesus talks in the Bible is the Words of God while the places where the seeds are planted are our minds. The Bible explains the people with a good mind as those of who have love, joy, peace, longsuffering, gentleness, goodness, faith, meekness, and temperance (Galatians 5:22-23). These are the mind sets that are not innately born with, but can be educated through the power of Holy Spirit. If we want to have a desired consequences (reactions) in our lives, then the proper actions should be done on our part. If we say we truly love Jesus, then we have to make sacrifices. Try to make time out of your busy schedules to worship God. Try to put efforts for studying God’s words. Try to speak with God through the prayer. And, you will be able to listen for God’s Spirit, as Jesus asked said in the Bible. The key to success is putting your efforts. For every action, there is a reaction following it. Your effort will lead to your success in your spiritual life! People tend to overlook the importance of habit when it comes to pursuing activities; the notion of habit is associated with thoughtless mechanism and as a result, insincerity. What exactly is habit, then? According to the Merriam Webster Dictionary, habit is a usual way of behaving; something that a person does often in a regular and repeated way. Attempting any sort of activities—from writing to playing musical instruments—requires reinforcement to get better, and living a life of faith is really not much different. When people think about praying, they commonly think that praying is only necessary when you need something, or simply want something. But that is a very elementary way of thinking about God, one that reduces the role of God to a mere genie in a lamp. God wants us to pray to Him regardless of whether we are happy or sad; whether we want something or are simply grateful for all that he has given us. To give a bit of a context to the passage, there was a law issued in Persia that no gods were to be worshiped other than King Darius himself. According to the passage, Daniel knew that the writing was signed, yet he “kneeled upon his knees…prayed, and gave thanks before his God.” Perhaps the most important part of this passage is the word “aforetime.” Daniel had a habit of kneeling before God and praying towards Jerusalem three times a day. He knew that his life would be at stake for praying to God, but he still prayed as he did “aforetime.” The result, as many of you know, was that Daniel was saved from the lion’s den by God, and instead his political rivals were thrown into the den and eaten alive by the lions. This was right before Jesus was crucified. 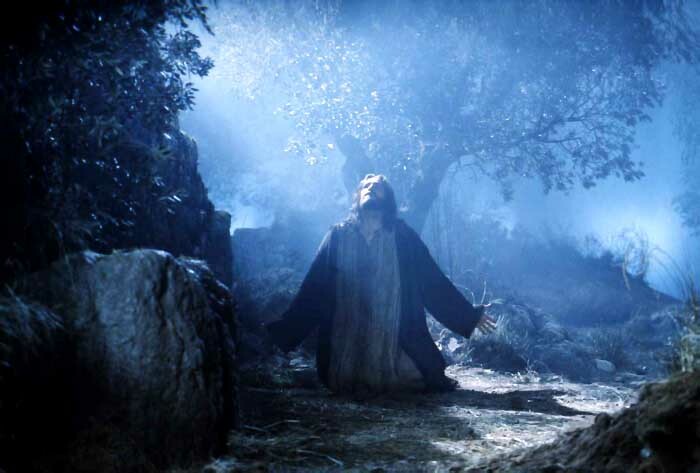 Despite knowing that he would inevitably be crucified, he went to the Mount of Olives as usual to pray. As we can see, both Daniel and Jesus went to pray as they always did regardless of whatever was to happen to them. Both were faced with the threat of death, (and Jesus indeed dies from cross, and resurrects) yet did not skip their daily routine of praying because of grief and worries. From this we realize that praying to God shouldn’t be something we do impulsively out of worries or other surge of emotions, but something we do routinely to connect ourselves spiritually with God. Hopefully, the importance of habit in living a life of faith is somewhat clear now. Though seemingly mechanic and methodical, our adherence to such habits becomes an important indicator of our own faith. The examples I gave above were in ancient times, where believing in God was potentially life-threatening. At ancient times people were crucified or tortured or burned alivefor their beliefs. Nowadays, these threats no longer exist. We seem to be living in a world where there is a freedom of religion. But the capitalistic society that we live in requires us to deviate from our daily habits of faith and focus on building careers, money and family by not wasting any time. If we have some spare time to pray, we might as well spend those time to expand our businesses, improve our personal skills, or catch up with old friends; we can’t go to church on Sunday—we attract the most customers that day! These subtle obstructions to our faith is our era’s test of martyrdom, because these things are hard to notice, like molecules that can only be seen when one scrutinizes its details through a powerful microscope. These microscopic obstacles to our faith creates a powerful momentum, like a splitting nucleus emitting a neutron which then clashes with other nucleus, ultimately creating a massive nuclear fission. It is so important to never be swayed from obstructions that prevent us from pursuing our daily habit of faith. The truth is, developing a habit is hard. It requires discipline. This habit of praying can be especially hard, because it is not what people commonly think when they think of praying. It is not the same as looking up to God when you need Him (although you would need Him every second of your life); it is devoting your time to Him even when you feel like everything is swell and you don’t really need to pray to Him. The same applies in situations where you just can’t help but brood over your deepest worries; you need to make it your habit to pray to Him. It should be difficult at first, but we should devote our time to Him. So, how about it? Let’s start slow. At any time of the day, spare at least a few minutes of your time to pray. Pray for whatever crosses your mind; the things you’re grateful for, the things you want God to listen to, your problems, your dreams, your plans, your family, friends, the world, everything. Do not let your mind filter what you wish to say to God, rather open yourself so that the Holy Spirit can consume you. Good Luck! Let us know how you are doing by posting on the comment below! In my younger years of youthful ambition or rather, greed, I looked upon the Bible character of Isaac and felt only questions and frustration. I’ve always only made a personal liking to the characters who at the end of their journey made an evident victory over their evildoers or at least were pronounced and expressive intellectuals who in various periods of their lives were able to battle and win in the name of Jesus Christ. Someone like Paul the Apostle. But Isaac? Who was he but a son who willingly and quietly laid on an altar of firewood so that he may be made a sacrifice to the Lord? Besides the story of complete obedience shown so clearly on that altar, what else do people remember him for? Perhaps some of you will remember the story of Isaac successfully digging wells everywhere he went, only for those wells to be stolen by nomads or villagers in that area. Some of you may also remember that Isaac too, like his father Abraham, told Pharaoh that his wife was his sister so that he may be saved. Ah, and perhaps also the story of how Isaac married the woman chosen by his father’s servant! But besides these few, his story, though unquestionably a major part, never quite seemed anything like the elaborate and intense narrative of the other more “vivid” characters in the Bible. It was only until my arms were completely chained and my feet shackled that I remembered the story of Isaac. My chains were already choking my neck, and the pain was unbearable. Life or death, it was. Nothing in between. All doors in my life seemed closed shut. Darkness enveloped my life and a form like death seeped into my bones. Yet, like a sudden gust of wind, the story of Isaac knocked a door in my tight-closed chest. It was as if a dust-covered book suddenly came to life and before me was a wisdom I was not, until now, ready to learn. Was I kneeling before the Lord, praying like Jesus did before the Cross, that God’s will be done? If I truly say I believe in the Lord, in Jesus Christ, have I submitted completely and have retained not even a little, not even an ounce of myself? Or have I conceitedly applied the Almighty God to the schemes of my desires instead of submitting to His great and Good will? And therefore, what was repentance all along if I had only asked God for grace for the chance to sin again? Have I asked for heaven when within me I retained that little bit of hell? Then, I remembered the story of Isaac, that righteous humility to leave everything up to God. Like a lamb, he quietly followed the path to his cross, without once putting forth his greed for life on earth. To every land he invested his work and discovered prosperity (the wells), it was stolen by thieves who steal the work of others and make it their own. And like a mute, he did not fight back. He was able to let go of “possession”, made his by his work and sweat. He did not question God and ask, “God, why give me the opportunity to find, to dig, to build, to invest my work only to take it away from me?” Tell me, what brave and faithful person can let go of something they treasure so much? A well, water, signifies a source of life. If I were to be cut off from my source of life today, the source that feeds me day to day and what I believe I need in my life, could I faithfully let go of it when God takes it away and believe that God has prepared a new way for me? I stopped and looked at my hands, holding on to the chains and shackles of my greed. My desires. My wants. My belief that I knew what was best for me. I repented for the obvious sins I sinned, not knowing the underlying sin of trying to play God in my own life. Now, I ask myself, who was the wiser man? The one who constantly battled with the Lord to finally submit to His will? The man who began as a persecutor of believers and than was struck blind so that he may learn of the true God? They are all wiser than anyone can judge, but it is now I understand Isaac a little bit more and why God was pleased in him. The story of Isaac does not show much drama, and in his complete submissiveness to the Lord, his life seemed to me all too boring to make any human connection to. Of course I understood the teachings and the theological importance his story had to my faith. But in developing any further reason to declare I wanted to be more like Isaac, it was not so. But how blind I was! In my struggles I have come to face again a fraction of the whole Truth that even in its small comparison to the Whole, is ever so monumental. And how blind I was because all along, the Truth was right there. Never moved. Never changed. May we all trust in God. A title is a word added to someone’s name, signifying the person’s official position and sometimes socio/economic status in a society, also known as Socioeconomic Status. Although some titles are hereditary, meaning inherited from parents, most titles we have seen nowadays are given by society where the people belong to. Furthermore, sometimes those titles reveal one’s achievement in his/her life. For instance, J.D. (Doctor of Jurisprudence) and M.D. (Doctor of Medicine) are professional doctorate degrees or titles that are extremely competitive to achieve. The primary purpose of giving such titles to a person was to celebrate one’s achievement in his/her life. Today, however, many people live their lives to achieve that titles; this change in Value caused many problems in the modern society as well as in Christian community. Christian is a title given to those who believe in Jesus Christ. However, sometimes we notice ourselves that forget about the primary purpose of being a Christian. In the Bible, Christians are depicted as those who are “the salt and the light of the world” (Matthew 5:13-16). The commonality between the salt and light is that they are essential for the world to exist. Why does the Bible describe Christians as being the salt and the light? 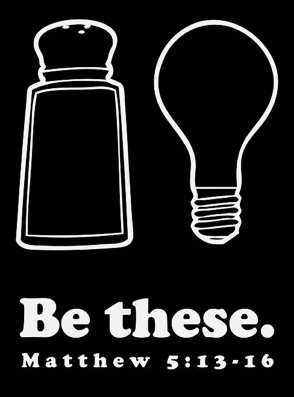 If we think about it, both the salt and light are important to humans and, thus, Christians must influence others as the “salt and light.” Although the universal importance of salt is not as readily apparent in our modern society, the mandate that Jesus gave to his first 12 disciples is still relevant and applicable to Christians today. Our lives are to be an on-going witness to the reality of Christ’s presence in our lives. When we worship God with pure hearts as salt and when we love others as ourselves, we are the light shining—however we should realize that the light shining is not from us, but from Jesus Christ Himself that people will see in us, Christians. The Bible should not be considered an allegory, but it can certainly be considered a holy text full of parables that teach us more than what is on the face of it. It is so often said that there are no questions that have not been answered in the Bible. If we do not see it, it is merely because we do not understand the meaning behind the words we read, or we are not prepared to take to heart what Holy Spirit wishes us to obey. A simple line can have more meaning and application than a thousand hours of self-help lectures. If we just think about that, we can imagine how profound the Bible is. By learning and loving the Word of GOD, we learn to become more like Him and understand His will. But through the Bible, we are also given the chance to really look into ourselves. It is constantly said in the Bible that the word of GOD is like a double-edged sword because of how exacting His words can apply to our lives. Sometimes His words cut us open so that the walls of our conceit and obstinance fall down and we can finally see ourselves clearly in the mirror, that is the Word. It is then we confess with great humiliation that we were so blind to the sins we were committing. This time of humble reflection is a time of pain because the double-edged sword of the Word cuts us open, however it does not end with just pain. It is also a gift of God’s grace. It is grace because by the wounds of our sins being torn away, we are made new. We learn from our sins and begin to walk in the righteous path of the Lord again. We stop justifying the wrongs in our life and we come to accept that we have wronged and it is time to make it right before the Lord. God speaks through us through so many ways. There is always the Holy Bible that lays somewhere in our room. The Word is always waiting for us. But there is also sermons at church, the prayers of our fellow congregation members, and even our friends. There are times we hear God’s words through signs in the day and night. Whatever the medium, when God speaks to you today at this very moment, let us not turn our heads away in the other direction. Let the double-edged sword pierce through us and make us know that it is time for a humble reflection. It is pain but it is also what makes us right again; not only internally but when all things stand right before the Lord, the rest of our lives fall through. Have you had time for this humble reflection through the Word?